When you want to get away to somewhere warm, somewhere fun and exciting, think of taking a vacation on the island of Aruba. Aruba is known for its perfect weather, sandy beaches and beautiful Caribbean water. The beaches are not the only attractions on the island of Aruba. There are many places to visit and attractions to see. There is a rich history, exotic foods and smiling faces everywhere on Aruba. When on vacation in Aruba visit sights such as Arikok National Park, take time to enjoy Carnival or any of the water activities available. The water activities range from swimming, snorkeling, wind-surfing or parasailing to name a few. Walking along the miles of beaches will give you time to enjoy the beauty and understand why the people of Aruba are smiling and happy. The beach walk will give you many sites to peruse. The coves are carved into the limestone and the crashing waves form the inlets. Swimming is not suggested or recommended in the inlets due to the under-tows. Vacationers are able to enjoy the sights and sounds of the waves crashing and rolling out again. All the beach areas are open and available to the public. Carnival happens once a year in Aruba and the event lasts for weeks, giving vacationers and party-goers plenty of time to enjoy all the revelries happening. There are street parties, parades and music competitions held annually. Grand, huge parades held in two cities actually shut down both cities for the enjoyment of all. Those cities are San Nicolas and Oranjestad; these are the largest and grandest of the celebrations. Enjoying Carnival in Aruba is an event that no one should ever miss! A vacation in Aruba is the perfect event for everyone. There are shopping galleries, food trucks, stands and restaurants, there is more nightlife than a person can imagine. Everywhere you turn, there is fun and activities to enjoy. There are resorts for those looking for quiet and relaxation, days filled with gentle seas and massages, any treatment you would desire can be had. At Arikok National Park there are many natural wonders to behold. Natural rock formations to bewilder the mind, and fascinating natural bridges over waterways, that will both thrill and chill you to the bone. 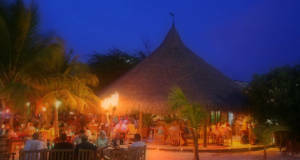 Consider the land of the highest return visitors, consider Aruba and stay in one of the many first class hotels or resorts that boast of friendly staff and world class cuisine. The energy of Aruba’s people, the fun to be had on the island and the many different types of entertainment and fun will keep you coming back year after year for your vacations. Come see why so many never want to leave!